DAD are proud to support the brand-new AES@NAMM initiative where they will be a part of the Pro Sound Symposium: LIVE & STUDIO and make presentations on the topic: Integration of Audio Flows and Interfacing in Modern Sound Studios. DAD will demonstrate a complete digital studio setup, including Dante AoIP with AX32, MOM, Pro | Mon | 3 and SPQ. 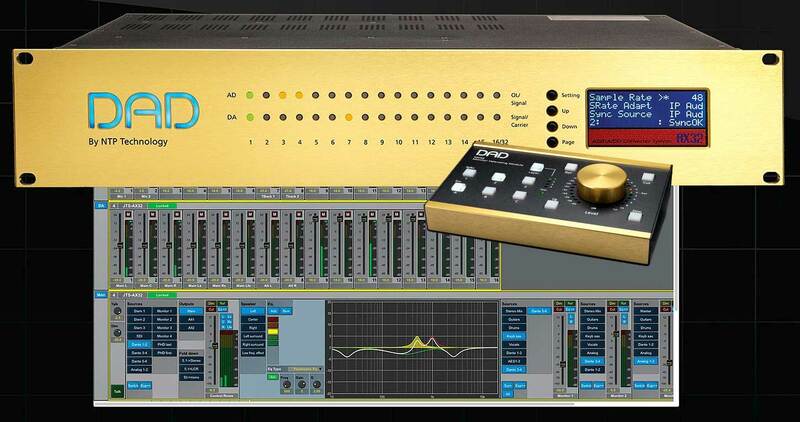 The AX32 Converter System will be the perfect center piece of the sound studio. 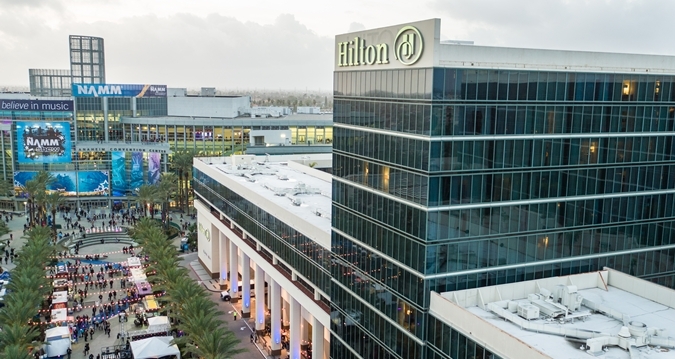 Anaheim Hilton, Palos Verdes A (Level 4), presented by Mikael Vest, DAD Sales Director. With the transition during the last decades where professional audio has moved from analogue to digital workflows, signal layouts are still in many applications seen as box-to-box implementations, interfacing either via analogue or digital. With this presentation we will focus on a more integrated audio infrastructure for high-end sound studios with the benefit of higher sound quality, more flexibility and lower cost than traditional studio setups. Sound studios have a long tradition for using patch bays where all available signal inputs and outputs are patched up and can be connected according to the required workflow and tasks for the studio. Very often, the configurations are fixed, but it is indeed possible to change and reconfigure when needed. The signals are mostly analogue, AES3 and MADI, as these signals types are standardized and able to interconnect via longer cables, which are often used in the studio infrastructure. In other applications areas, in particular broadcast facilities, digital audio routers have been mandatory for decades in order to cope with having flexibility in passing audio around larger facilities. This is smart, but often also a quite comprehensive and expensive solution which do not appeal to the traditional sound studios.